You have heard of pivot points before when you were studying about technical analysis. 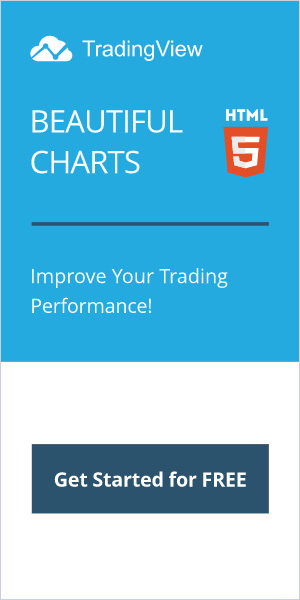 But how can someone use pivot points in day trading stocks in particular? This is how I take advantage of them while day trading the US stock market. I day traded 3 US stocks yesterday; FBR, VFC and WHR. They all led to profit but of course that was just a fortunate event. There are losing trades obviously, much like there are both losing and winning days in stock trading. The point is to make more money on winning trades than on losing ones. But that is another story. Today I will show how I used pivot points while I was day trading these 3 stocks. And yes, I did make more than I stood to lose. I went long on this stock during the first hour of trading. Although that specific period is quite risky, the volatility creates promising candlestick patterns on the charts. Like the breakout above the R2 pivot point. I bought FBR at 11.81. Sure I was a bit late as I should have entered at about 11.75, right after the breakout candlestick. That would result in trading more shares, given the stop loss would remain at the same price: 11.71. Either way I would risk 100 dollars. That would of course be a very tight stop loss. As I was looking for a quick trade, I was planning on monitoring this trade closely and trail the stop loss at each candlestick’s low, until it was hit. However that strategy changed as I went long based on the higher low that was formed 15 minutes later. And that was the exact time when I stumbled upon the FBR stock chart. The support level and the shallow retracement further strengthened my confidence in this trade. I eventually traded out 2 hours later when the latest support failed. There was no need to check out other time frames, since the gap up and the pivot point’s breakout were more than enough to point out the up trend. Gaps are very effective in momentum trading. The profit for this trade was about 130 dollars, the smallest of them all. Moving on, it was also unnecessary to check out more VFC charts apart from the 5-min stock chart. The stock did lose 5% the past few days. But it didn’t take me more than 5 seconds to find that out from the daily chart. Thus, I was looking to short VFC stock. The double top which was drawn right on the mid pivot point was enough to convince me to short 200 shares of VFC at 192.72. Again I was risking $100, setting my stop loss at 193.22. As VFC stock was going south, I was moving my stop loss to the most recent resistance level. Luckily none failed and I am still short VFC, although I was expecting to trade out at the S1 pivot point! Normally I am not holding stock overnight. But since I am in a paper-trading mode lately (day trading VISA stock shattered my confidence to pieces), I thought of giving it a go. Yet, for holding overnight I had to check out possible profit targets in longer time frames. Unless of course the stock retraces at the 5-min chart. By looking at the 30-min chart one could choose the S1 weekly pivot point. If that level fails just as quickly as the daily S1 pivot point however, I would be delighted to hold my position for more days to come! Maybe the stock falls down to the quarterly mid-pivot point at 184.21, who knows? For the time being though I am up 360 dollars on this one! And it gets better. This was my big winner on Monday while paying close attention to pivot points in day trading stocks. This also goes to prove why the pivot points of the previous day is equally important. Whirlpool’s shares opened lower but quickly pulled back to the resistance level at 134.50. If I would be looking just at Monday’s 5-min chart, I would have missed that resistance level. Since the stock didn’t meet any resistance at mid-pivot point, there was zero chance I would have predicted a downtrend. Side note: Here is how I have used support and resistance levels in day trading stocks before. By looking at the previous day’s action though, I decided to trust the resistance level that was now been confirmed by a double top! Not to mention that it was a much respected pivot point level during Friday’s session. I shorted 300 WHR shares at 134.16. Following the same exit strategy, I should have exited at 132.80 as the latest pullback had failed. Due to being away from the computer though, I missed moving the stop loss at that level. Another exit would have been the likely profit target at the S1 pivot point which also hit. By the time I logged in to my trading account, WHR shares were trading south of the S1 pivot point. Hence, I am still short WHR. Let’s take a quick look at the 30-min chart. Oh boy, my short trade would bring more money if WHR shares plummet to the weekly S1 pivot point at 129.60! But I’m happy with the 700 dollars this trade has secured at this point, having trailed the stop loss to the daily S1 pivot point. Here is my paper trading account’s P&L screen for Monday. Do you have any advice about how to manage these trades now that I am still in the market? Would you have traded differently? And finally, do you use pivot points in your day trading strategy? Let me know in the comments below.